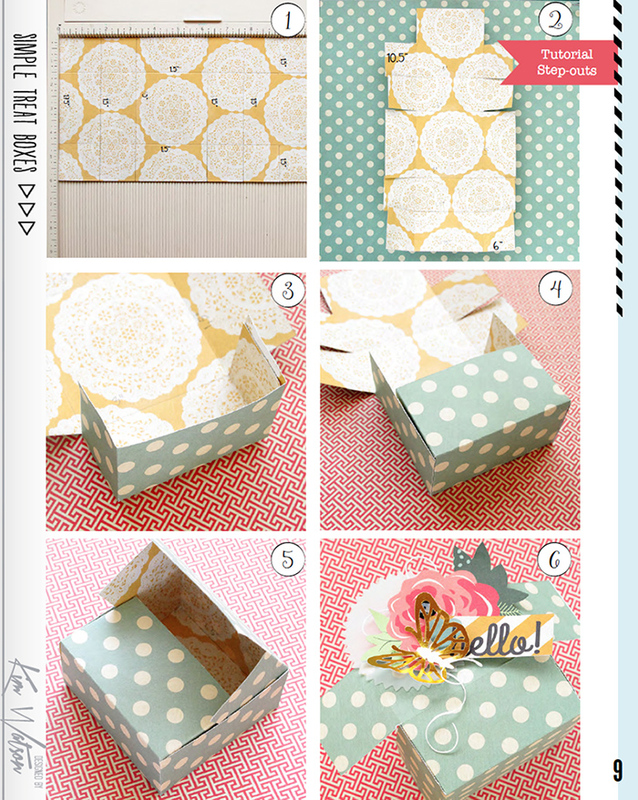 kim watson ★ design ★ papercraft: How to make pretty paper gift boxes without a template. 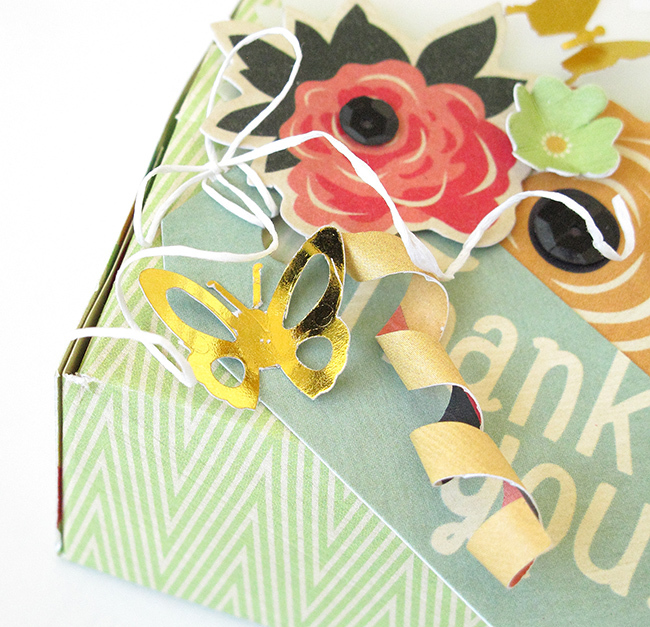 How to make pretty paper gift boxes without a template. Are you planning on giving gifts to loved ones & friends any time soon? If you are like me, & love personalizing your gifts & gift wrapping; then this project is for you. 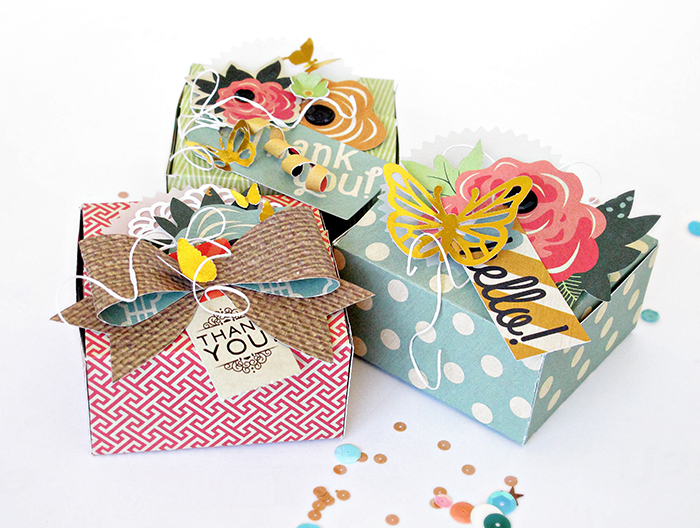 The beauty of these gorgeous little boxes is that they are economical on product using only a sheet of 12x12” patterned paper to make two boxes. They can be made in 15 minutes which is a wonderful time saver! Join me as I take you through my step-by-step process. Supplies: Patterned paper, Gold Foils paper, Vellum Paper, Tags, Ephemera, Tickets & Die-cuts: +Fancy Pants Designs Burlap & Bouquets collection. Cut a piece of patterned paper 10.5” x 6”. Score horizontally: 1.75”, 1.5”, 3”, 1,5”, 2,5”. Score vertically: 1.5”, 3”, 1.5”. Fold along score lines, snipping all the flaps free to the 1.5”mark. Fold & adhere the first box flap closed. Fold it towards the inside of the box. Fold up side flaps & adhere in place. Fold top box flap, adhering the sides. NOTE: make sure to place the adhesive out of the way to allow for the flaps to slip into & out of the box easily. Fill your completed box with small gifts or candy. I hope this has inspired you to try making some too! I can’t wait to hand mine out after at our Valentine's day breakfast cook up with a bunch of special friends! 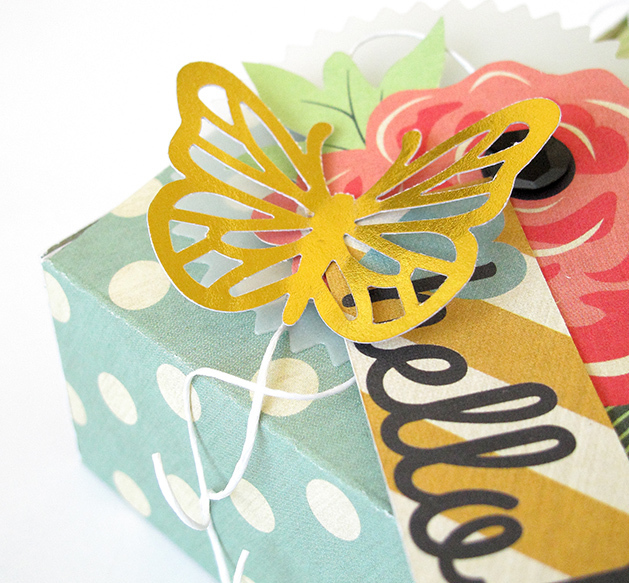 Decorate with sweet little butterflies, punched from gold foil & some paper twine for a pretty touch! They are sure to be a hit with all your special friends & family members! All done! ENJOY your day!